In this segment of Braden’s first time home buyer adventure he is ready to make an offer to purchase his first home. 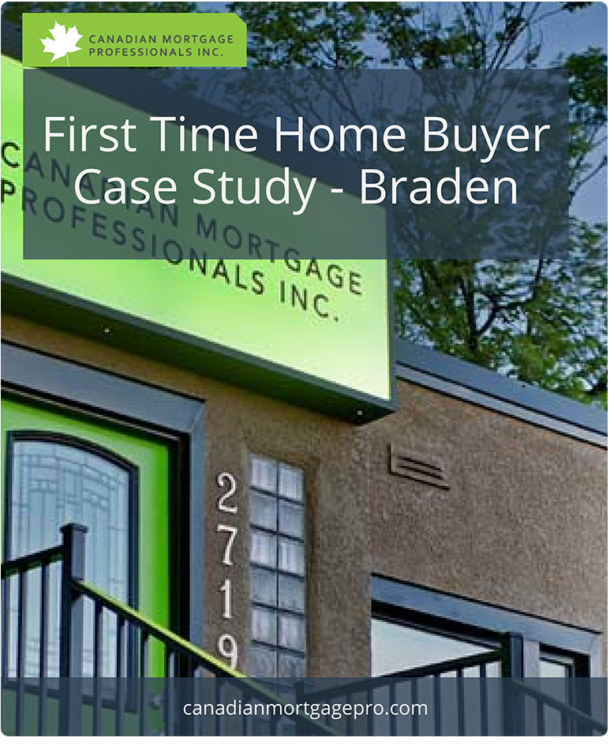 CMP: When we last met with you Braden, you were going through the process of assessing a foreclosure property and possibly making a purchase offer. Did you go through with that? Braden: The foreclosure just felt very risky for the size of the house. Looking to the future made it hard to justify buying a house that was under 1000 square feet. It wasn’t terrible inside but would have definitely needed quite a bit of work before it was comfortable to live there. I really wasn’t sure I would be able to take on a larger renovation with my busy work and play schedule! I decided to keep an eye on new listings, and I think I have found the perfect property. CMP: So you found something else then, something that met your needs with respect to the garage? Braden: Yes I did. I found a place with a detached garage that is just about set up to handle most of my projects. The house is in a wonderful established neighborhood with a nicely landscaped yard. The house itself is 55 years old, renovated and looks to be in move in condition. I went back several times with my support team to have extra looks. Thank goodness my girlfriend was with me, not only to agree that the garage is a beautiful thing, but also point out the finer touches in the house like upgraded kitchen, open floor plan, and not to mention the double sinks in the bathroom! Things I overlooked but really like. CMP: So you found the perfect home and are ready to purchase. How did you find the process of writing an offer? Braden: The offer process was pretty straight forward actually. Having only two conditions also helped to keep the stress level a little lower. The seller was quick to respond initially, and negotiations came down to just a $1,500.00 difference but that did take the seller an entire day to accept. That definitely brought my stress level up a few notches. CMP: Your offer had two conditions which were to be removed within 10 days of negotiating the offer. One was a property inspection, and the other was mortgage financing. While you waited for your conditions to clear you were collecting paperwork and waiting for the pieces to come together which can be little challenging. How were you feeling during this time? Braden: Lining up all the paper work was a little difficult when I didn’t really have time at work to be making phone calls, but with a detailed list and the help of email I was able to get what I needed fairly easily. It’s a little tedious, but not nearly as bad as people might think. CMP: We’ve spoken of the importance of a Real Property Report (RPR), were you able to obtain one prior to your condition date? How did it look? Braden: Unfortunately, I did not get to see the real property report. They were actually doing it the same day as we were doing the home inspection. I was assured that if anything came up my real estate lawyer would be able to hold back some payment if necessary. I think it would be a good idea in the future to put the RPR as a condition of the sale. CMP: We’ve discussed home inspections before, do you mind sharing your experience and findings? Braden: Having the home inspection was great. I tried to do my research and found a company that had good reviews online. I feel the inspection was pretty thorough and the report was very professional. A few minor things about the sewer scope that was completed left me with an unsettled feeling, but for the most part I was happy with the job done and would recommend an inspection to anyone! Not only can a home inspection provide peace of mind with respect to the condition of the property of interest, but for Braden, he was also able to use the findings of the home inspection to negotiate a reduction of the purchase price thanks to the fact that he included a home inspection as a condition of his offer. Braden also had a very diligent real estate realtor which is critical in the home buying process. His realtor makes a practice of walking about the property, pointing out any possible downside and then takes this into consideration when submitting the initial purchase offer and subsequent negotiations. If there are large issues uncovered by the home inspection then renegotiating may be warranted. It’s important to keep in mind that at the end of the day everyone wants to walk away feeling good, so do your best to get the right deal of course, but the seller will want a fair deal also. CMP: How did you determine the new purchase price? Braden: As you stated, my realtor used some of the things we noted during our walk-through’s to negotiate the original offer. We did find a few things that needed attention during the home inspection such as the garage door so I made a few phone calls and got some quotes for the repairs that would be needed. I made my offer with that in mind and the sellers met me half way. I was pretty satisfied with the whole process as I was able to save $13,500.00 on a house that was only on the market for a handful of days. This is a huge step for any home buyer, this it it! Committing to buying a home, yes! CMP: Braden, can you tell me how it felt when you removed the conditions of your purchase offer? Braden: Having the conditions removed was a huge relief. It meant things were going to move forward so it was finally feeling like the place was going to be mine! Looking forward to possession day!! Set up property tax payments. Set up utilities (gas, electricity, internet). As the purchase transaction rolled along, Braden’s next step was a visit to his lawyer to sign the final documents, followed by packing up his belongings for the big move!